Summary: Living in a world where there’s war being waged between superhero villains and good guys, Hayden, Sam, Emily, Lana and James each have reasons to be bitter about their lives. Kidnapped by the Vindico, an organization of evil superheroes seeking to train the next generation, the teens suddenly find themselves with new super powers being asked to do questionable things. After being forced to physically train and subjected to psychological manipulation, each must decide between staying a villain and the false offer of being able to return home like nothing ever happened. 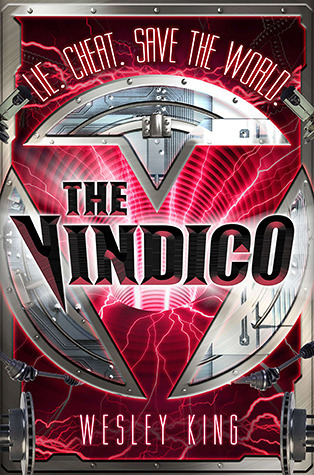 Review: What I liked about The Vindico by Wesley King is the fact that it isn’t clear if the good guys should actually be considered good. It’s clear that the villains are evil in their intent and actions, but their motivations were heavily influenced by their rejection from the Legacy of Heroes in the first place. I didn’t agree with the Vindico’s methods, picking emotionally vulnerable teens to mold to their will, but it’s kind of implied when you’re evil that you’re going to be shady. King presents an interesting idea though. Hayden, Sam, Emily, Lana and James each find themselves in situations where they have no power. While they aren’t inherently evil, the whole power versus powerlessness dynamic seems to be too tempting to resist. Can one really expect that King’s characters would choose to go back to their regular lives when they’ve had a taste of what it feels like to be powerful? I wanted to know more though. I liked the characters but I wasn’t convinced they would immediately believe their parents cared so little for them. I thought the Vindico was probably lying during their announcements, but King never reveals the truth of the reaction of the parents of those kidnapped. Still, it was a read that made me laugh in parts, and I’m glad things turned out in the end. “Lana struggled to free herself, but Avaria’s grip was like iron. Helpless again, she thought. She remembered Kyle standing over her in the forest wearing an arrogant smile. “‘It is a scary thought,’ Lana agreed. 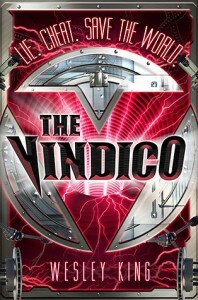 The Vindico by Wesley King is published by G. P. Putnam’s Sons, (2012).